Wednesday, April 10th, meeting will be held at the FARMINGTON Senior Center located at 321 New Britain Avenue, Unionville, Connecticut. Steve is a former member of the Connecticut Orchid Society. We welcome him back to Connecticut. This entry was posted on March 21, 2019, in Meeting Information. When to repot. Tips, tools & tricks of repotting. Bring your questions. Bring your plants and clean pots. The “Orchid Docs” will be available for diagnosis. Now, as the days are getting longer it triggers new roots to start to grow, so this is the perfect time to focus on repotting chores. *If you think you have a sick or buggy plant please bring it in a plastic bag. **There will be a $5.00 material fee for all plants under 4 inches. Larger size plants fee t/b/d. *Andy’s Orchids- 10% discount for pre-orders. Cut-off for pre-order is MARCH 15. Make sure to note the order is a pre-order to be picked up at the COS show March 30-31. To place pre-order, put your order in the “Basket” on Andy’s website at www.andysorchids.com, then copy and paste the “Basket” to Word and email it to Andy@andysorchids.com. This entry was posted on February 28, 2019, in Meeting Information. “What is a Beth Plant?” We will take a world tour as “Beth Plants” include the following families: Bulbophyllum, from Africa, Asia and Latin America; Stanhopea, from Central and South America; and Dendrochilum from Southeast Asia. Spring is coming and we will all be working with our plants. Beth Davis will do a re-potting demonstration along with a demonstration of proper grooming and staking of your orchid plants. Beth will bring plants for sale and take pre-orders on supplies. Waldor sells everything they use on their own orchids; potting mixes, plastic and terracotta pots, fertilizers, green string, wood and plastic baskets, hangers, etc. If there is an item a member is looking for that they don’t see on the list, or if there is a plant on a member’s wish list that they think Waldor might have, they can email Beth with their request. Here is a link to the Waldor website: https://www.waldor.com/ and below are links to the Waldor supply lists. About Beth: Beth Davis is a third-generation orchid grower from Waldor Orchids located in Linwood, NJ. Waldor is a family owned business in operation since 1925. Beth has worked at the greenhouses for over 20 years in a variety of capacities. She joined the AOS judging program as a student. This entry was posted on January 30, 2019, in Meeting Information. Wednesday, January 9th, meeting will be held at the FARMINGTON Senior Center located at 321 New Britain Avenue, Unionville, Connecticut. J & L Preorders: use the J & L website at https://jlorchids.com/, and if COS members prefer to pay in cash, they can use the money order option. 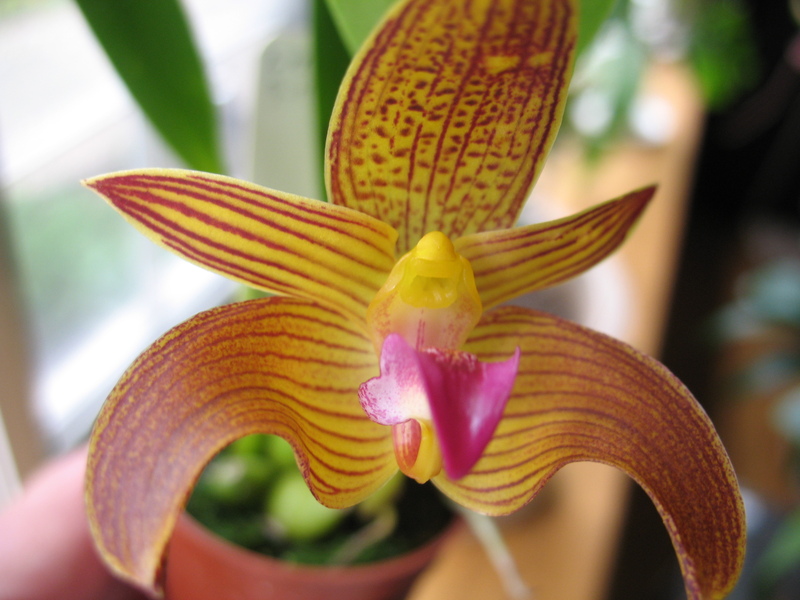 The coupon code is “CTOS2019” for 20% off preorders, and use the “Connecticut Orchid Society talk” option for delivery. 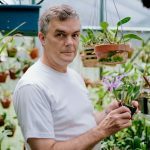 more than forty years and is on many international orchid committees involving orchid conservation and orchid judging. She is an American Orchid Society accredited judge and served on the Awards Committee for several years. Cordelia has been fortunate to travel extensively throughout Central and South America in search of orchids. She has discovered many new species and has three named for her. Cordelia has lectured both nationally and internationally including the World Orchid Conferences in Miami, France, Malaysia, Vancouver, Glasgow and many others. This entry was posted on January 3, 2019, in Meeting Information. This entry was posted on December 5, 2018, in Meeting Information. This entry was posted on November 1, 2018, in Meeting Information. Wednesday, October 10th, meeting will be held at the Farmington Senior Center. Doors open at 6:30pm. Meeting starts at 7:30pm. This entry was posted on October 1, 2018, in Meeting Information. If the sizes are to large consider sharing with a member. This entry was posted on August 31, 2018, in Meeting Information. Please Note: June 6th is the cut off for pre-orders from Orchid Web for the June 13th meeting in Farmington. For 10% discount, make sure to say “COS” on your order, so Mr. Fisher will know which society your order will belong to. This entry was posted on May 31, 2018, in Meeting Information. Jean Stefanik will be speaking on Native Orchids with a focus on the species. Since it is almost warm it will be good to have a fresh eye on where and how to fine these native treasures. Jean is an educator and naturalist as well as an accredited AOS (American Orchid Society) judge. Her primary passion is for species orchids, and the habitats to which have adapted throughout the world. She enjoys traveling, photographing orchids and other plants and animals in nature, and meeting people from other cultures. North American travels have ranged from the Arctic in Canada to California, from New England and the Maritimes, from Arizona to the Florida swamps including extremely rare ghost orchids. She has also spent several trips and many months in Costa Rica, Ecuador, New Zealand and Australia, all including touring for orchids. Conservation of orchids means conservation of native habitats, a theme which permeates her talks. Jean also serves on the Boards of the Native Orchid Conference and Orchid Digest. Jean’s talk this meeting will be “Temperate North American Native Orchids”. This entry was posted on April 25, 2018, in Meeting Information.